Don’t have two hours a day to get the body you want? Nike Training Club users love our short, body-weight only workouts to get results even when life gets in the way. Focus more on your workout, and less on your phone when you connect your Apple Watch with NTC. Easily advance to the next drill, pause, skip drills, and more, all while monitoring your heart rate and calories right from your wrist. 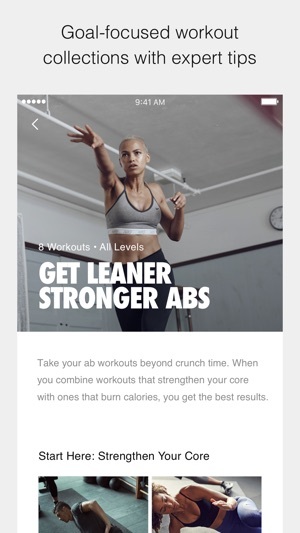 And don’t forget — Nike Training Club also connects to Apple Health where you can keep track of your workouts and Activity Rings. • Wondering where to find events? You can now find them in your Profile. Getting in shape can be a challenge, so making exercise fun and engaging is crucial to staying on the right track. 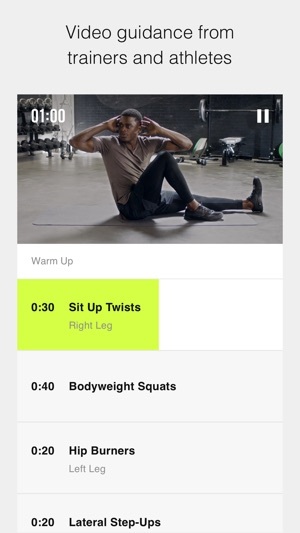 This Nike fitness app features a polished collection of visual workouts, hosted by celebrity athletes like Serena Williams. It's equally effective at home or at the gym. While each lesson can be taken on its own, Nike Training Club also features month-long structured programs that’ll help you achieve even better results. 1. When doing a rep-based strength workout, you check each exercise complete when you are done. However - there are 30 sec, 60 sec rests thrown in as well, and the cool down is usually time-based as well. It would be incredibly helpful if these portions would get marked complete when the time runs out. So that I don’t have to check my phone every few seconds when laying on my back and doing a stretch. 2. The instructions/music volume disparities.. still can’t quite get what is up with that. If I simply play music through the music app on iPhone, then open NTC and start a workout, instructions are slightly louder so that works out great. If I play music directly through the app, however, it seems to be the same volume as the instructions therefore I cannot hear what I’m supposed to do - or when the timer runs out - so it’s a total mess. I realize these are minute details, but in the hopes of the app developers reading this I was hoping they’d see this. 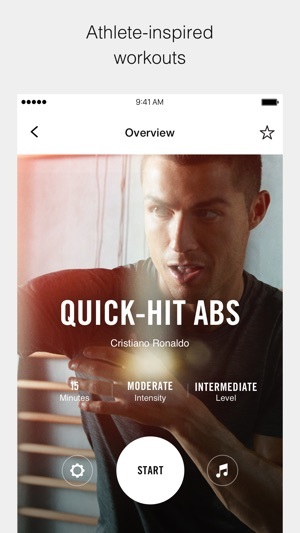 Other than that, the content is absolutely fantastic, haven’t found a better workout app!! I’ve been using this app for many years and it was the perfect training companion. There were some minor hiccups in the past (some interferences with Apple Music app while exercising or sometimes the training would freeze if you were mirroring it on a tv..) but it was by far the best app ever developed. Sadly developers decided to remove the planning feature which was the huge plus over all the others apps. 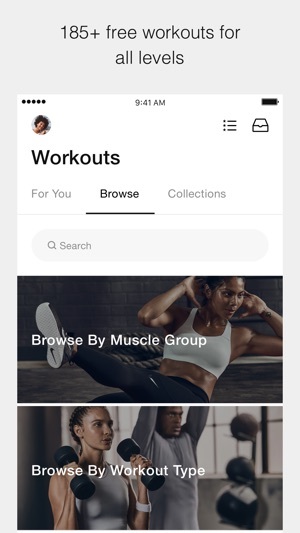 The app was able to support the definition of a specific training and support the weekly schedule, adjusting based on participation and feedback. I can’t tell if the app was really able to adjust the training over time, but it definitely provided the feeling of being followed and supported during sessions. Especially for those (like me) that have little time for training and want a product that is doing all the preparation, improving efficiency. Even if this app contains a lot of outstanding material, I’m giving it just one star because without the plan feature this is just a average confusing app, that makes it even harder to identify how to exercise in the little available time. Defining what to do is just a nightmare. Thank you for your feedback. We realize that the upcoming removal of plans upset you – and we’re sorry about that. Working out is hard enough, and we want to help you stick with your routine. We’ve taken the “best of” the workouts from your current plan and added expert tips & guidance to keep you going in the form of Collections. 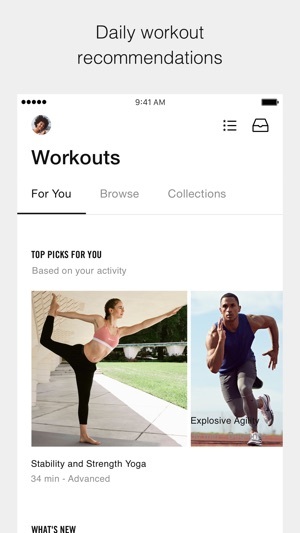 You can find the various Collections in the Workout Tab.